In its non-precedential Memorandum and Opinion in the case of Erie Insurance Exchange v. Bristol, No. 1119 EDA 2015 (Pa. Super. May 7, 2016) (Op. by Olson, J. 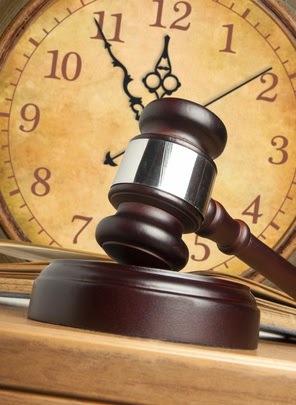 )[Non-precedential], the Pennsylvania Superior Court again affirmed that the statute of limitations for a uninsured motorist claim was four (4) years. Notable, the court also confirmed that a Plaintiff must file a Petition to Compel Arbitration to toll the statute of limitations in a matter that is languishing in which the parties do not agree to a neutral arbitrator. In ruling on the above issues, the court relied upon the precedential case of Hopkins v. Erie Insurance Exchange, 65 A.3d 452 (Pa. Super. 2013). Note, however, that Judge Ott concurred in the Opinion, asserting that the language addressing the tolling of the statute of limitations for uninsured motorist benefits claims in the Hopkins case was dicta. Judge Ott recommended announcing a clear rule of law outlining the requirement of filing a Petition to Appoint an Arbitrator and Compel Arbitration in order to toll the statute of limitations. Anyone wishing to review a copy of Majority Opinion in this non-precedential decision may click this LINK. Judge Ott's concurring Opinion can be viewed HERE. Source: “Digest of Recent Opinions.” Pennsylvania Law Weekly (June 21, 2016).